I love the idea of luxe fabrics for fall and velvet is one trending material I can get behind this season. Looking to incorporate non-traditional items into my wardrobe, I adore this Majorelle wrap blouse from Revolve for the season. The front tie blouse shapes it into an adorable peplum style - perfect for wear with skinny jeans, pencil skirts or even jumpsuits for the office. Other velvet styles I'm loving are this moto blazer and a cami tank. Not crazy about the blazer...but I love the velvet cami you have in the link! I have to get the yellow to go with my leopard accessories! 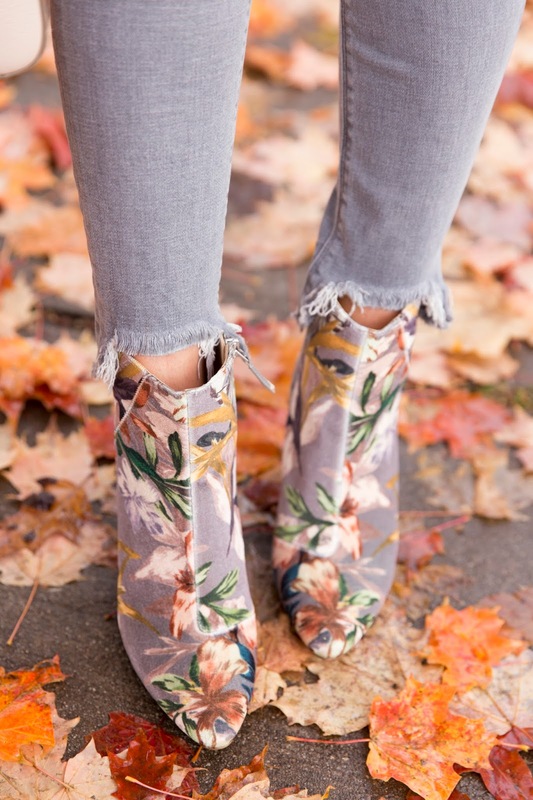 You're looking like a doll here, your boots and velvet wrap are fantastic! They need to make this in big girl size! LOL, I love this! GOes really well with the boots.